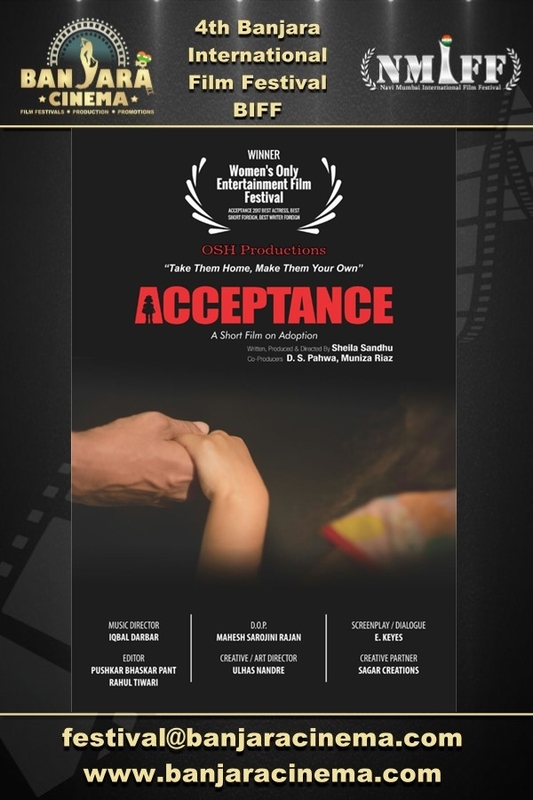 4th Banjara International Film Festival welcomes the submission of Professional Short "Acceptance" from India, directed by Sheila Sandhu. 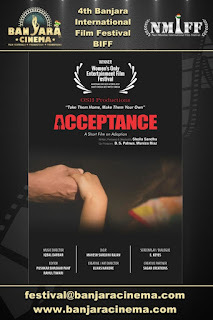 Synopsis: The film is all about accepting an adopted child as your own. 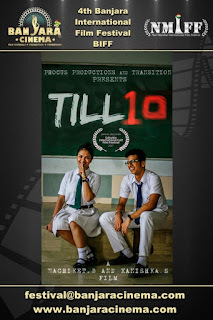 4th Banjara International Film Festival welcomes the submission of Student Short "Till 10" from India, directed by Nachiket. 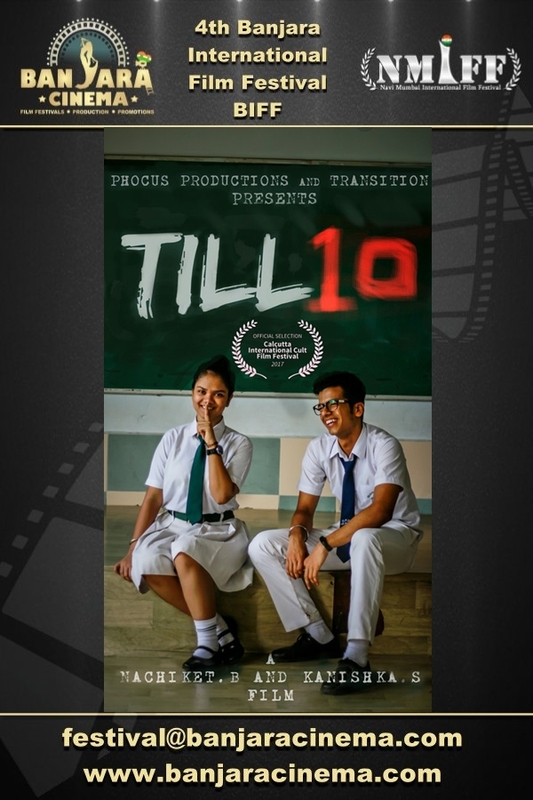 Synopsis: The story revolves around a teenager who is misguided by false love , and eventually tries to find his way out of depression, never realizing that there were mysterious photographs of his girlfriend with 10 boys all over the school campus. 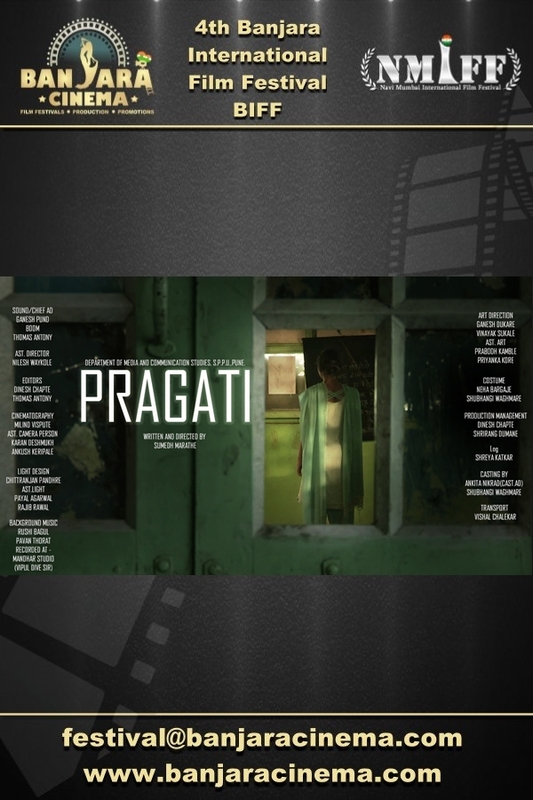 4th Banjara International Film Festival welcomes the submission of Student Short "Pragati" from India, directed by Sumedh Jagdish Marathe. orphanage conductor Wagh madam’s struggle to arrange expected fees in given time." 4th Banjara International Film Festival welcomes the submission of Professional Short "Aasai Mugam" from India, directed by Karthick. 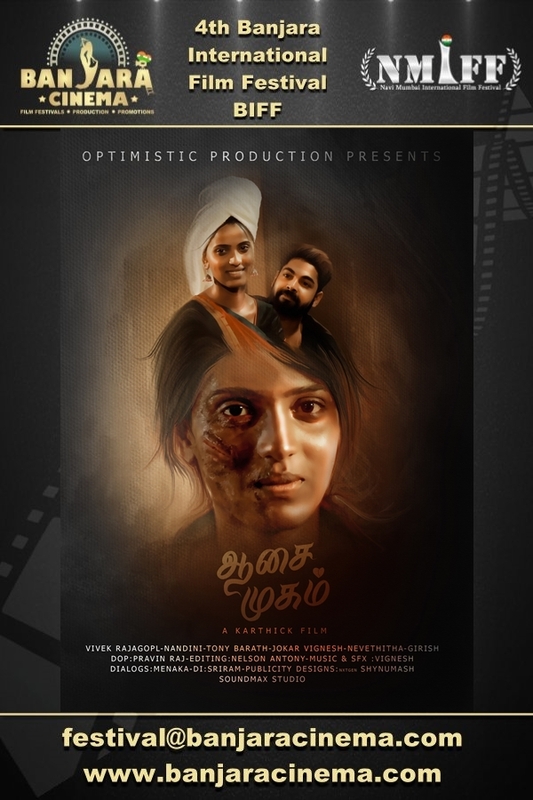 Synopsis: This film is all about the life of acid attack victim and her husband. 4th Banjara International Film Festival welcomes the submission of Student Short "Forest of Echoes" from Austria, directed by Luz Olivares Capelle. 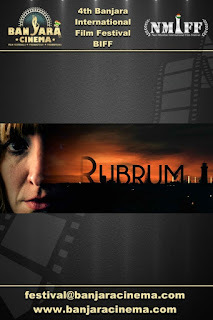 Synopsis: A teenager, Christina, loses her friends in the forest. Looking for them she finds the bodies of three drowned kids on the shore of a lagoon. On summer holiday, deep in the woods, three kids, cousins, are playing around a lake when they find a drowned young woman drifting in the water. Games, lies and rituals unfolding into a circular time in which death loses its ultimacy. 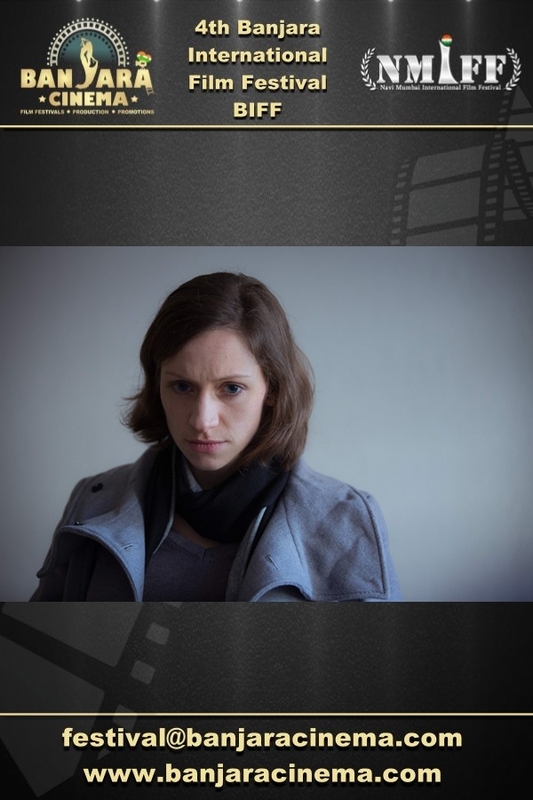 4th Banjara International Film Festival welcomes the submission of Student Short "Zu Gast Bei Freunden" from Switzerland, directed by Luisa Ricar. 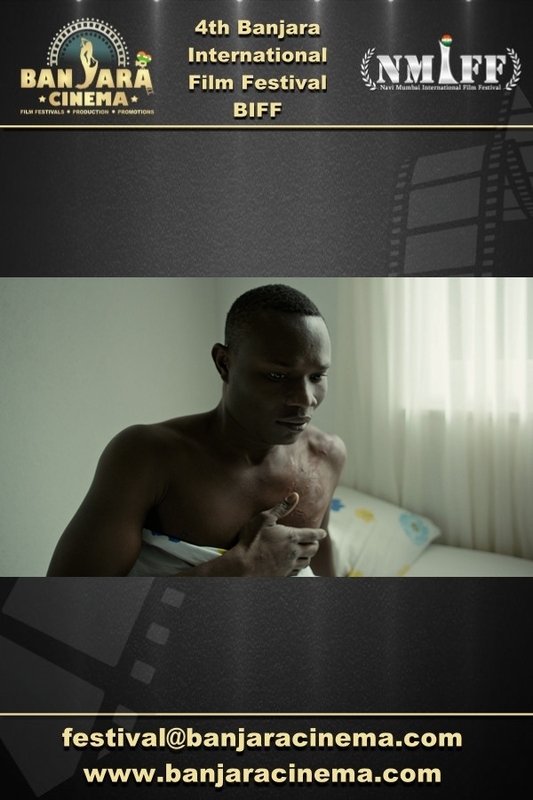 Synopsis: Burkina Faso refugee Rachid tries to hide in Brigitte’s flat in the outskirts of Zurich. Thought to have found her true calling, she decides to accommodate him. Even though the unequal power relation leads to tension between Rachid, Brigitte and her ex- husband. 4th Banjara International Film Festival welcomes the submission of Student Short "Transit" from Germany, directed by Oliver Meinborn. Synopsis: Every man is an abyss, with the exception of Dieter (55). When his wife Tamara unexpectedly escapes their ceaseless repetition of a life together to elope to Mont Saint Michel, Dieter is forced to leave the security of his row house cocoon for the first time. 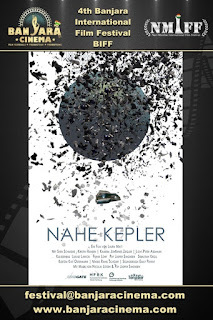 Aided by congenial vagabond and street philosopher Ronen (38) Dieter embarks on a journey that will confront him with the impossibility of escaping one's self. 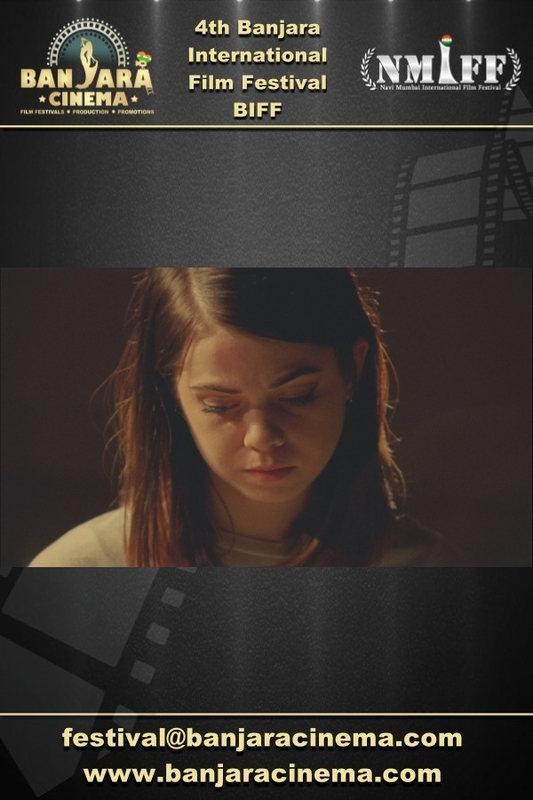 4th Banjara International Film Festival welcomes the submission of Student Short "Unattented Item" from United Kingdom, directed by Filippos Vokotopoulos. Synopsis: A neo-noir short about mourning with an absurd ending.Andy is in debt and mourning. Pressure goes up when a loan shark wants in to his vintage shop. The moment he decides to take vigilante action, things get ridiculously out of hand. 4th Banjara International Film Festival welcomes the submission of Student Short "Payday" from Germany, directed by Felix Kempter. Synopsis: In order to manage his debts, paramedic Mike decides to provide his ambulance for "just an hour" to two thugs. But things don't go quite as planned, and Mike is suddenly caught up in a clever robbery. 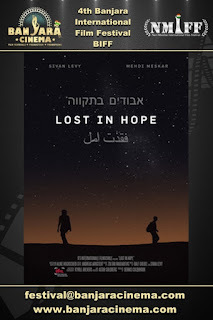 4th Banjara International Film Festival welcomes the submission of Student Short "Lost in Hope" from Germany, directed by Aline Hochscheid. 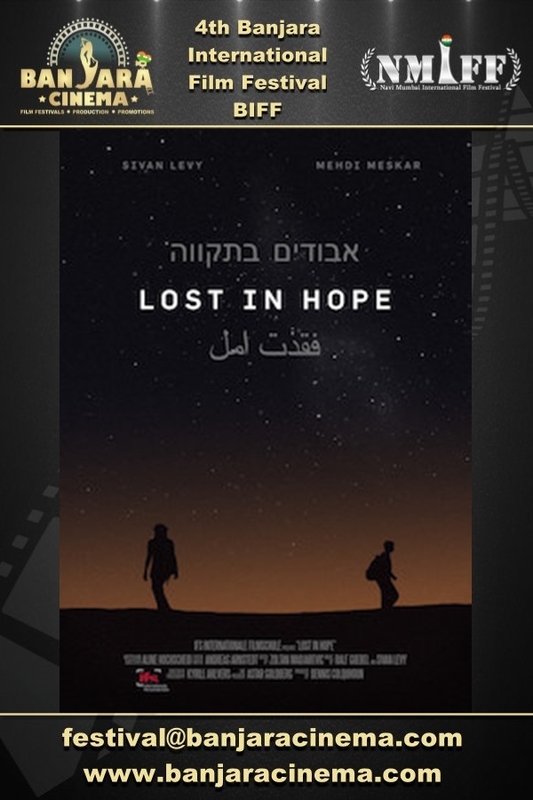 Synopsis: Using a poetically lyrical dialogue, “Lost In Hope” tells the story of the Israeli Rachel and the Palestinian Yasser. Yasser yearns to live in freedom, away from the hopelessness and violence in his country, Rachel dreams of studying music.Unfortunately their respective futures are shaped by the conflict in their countries. 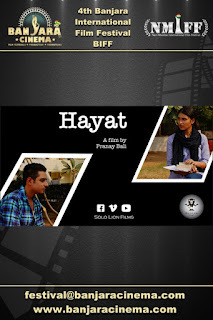 4th Banjara International Film Festival welcomes the submission of Professional Short "Hayat" from India, directed by Pranay Bali. Synopsis: "The story revolves around two teenagers: RAHUL, a snooty brat, and MEENAL,an introverted empath." 4th Banjara International Film Festival welcomes the submission of Student Short "The Sacred Disease" from United States, directed by Erica Scoggins. 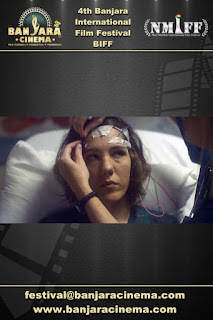 Synopsis: Angie lives with her mom and struggles to manage a heavy dosage of medication for a neurological disorder. Reeling from the death of her brother and oppressed by the very medication meant to cure her, Angie yearns for the strange, otherworldly seizures that at once haunted her and made her feel alive. 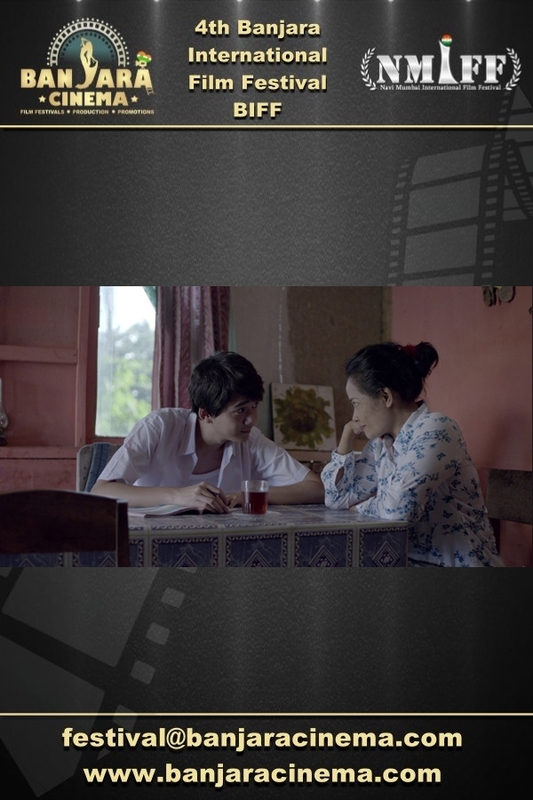 4th Banjara International Film Festival welcomes the submission of Student Short "Motown" from Australia, directed by Alex Wu. 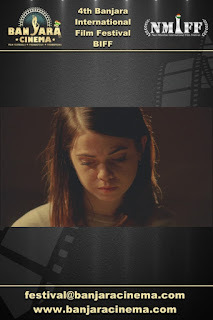 Synopsis: In the sleepless city of Melbourne, a young woman finds refuge inside an empty concert hall late at night, and reckons with an unspoken past. 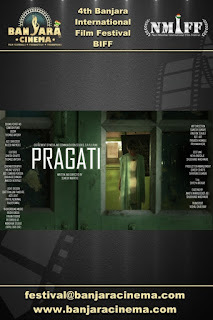 4th Banjara International Film Festival welcomes the submission of Student Short "Pria" from Indonesia, directed by Yudho Aditya. Synopsis: A teen living in rural Indonesia struggles between the traditions of his upbringing and his romantic idealization of the freedom of the west. 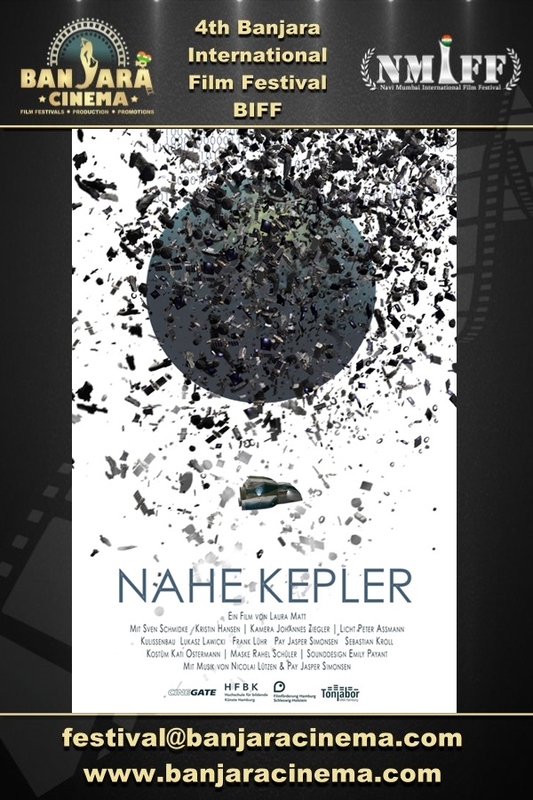 4th Banjara International Film Festival welcomes the submission of Student Short "Nahe Kepler" from Germany, directed by Laura Matt. Synopsis: After a year Job on a far away planet space traveler Jo experiences a bumpy incident during his flight back to Earth. His board computer Deborah claims she has everything under control. But is that true? 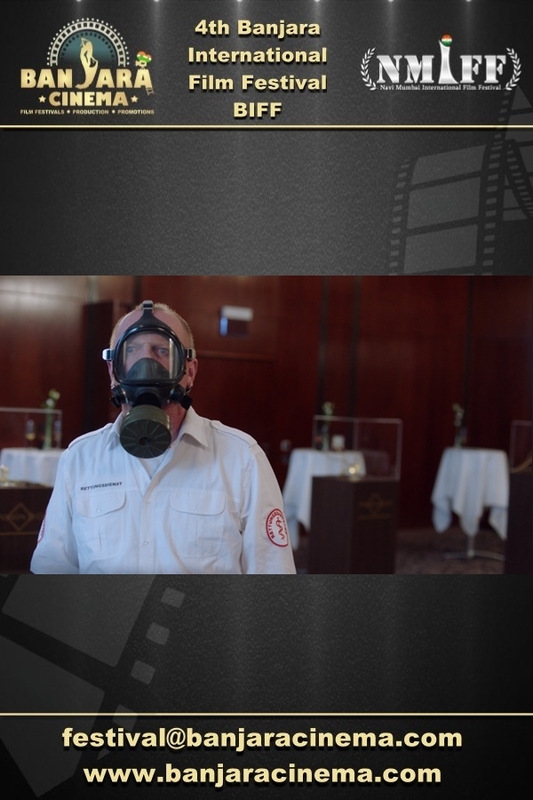 4th Banjara International Film Festival welcomes the submission of Student Short "Paleontology" from Switzerland, directed by Pablo Callisaya. Synopsis: Tired of boring students, Rafi and Alex decide to explore a new science: Paleontology. 4th Banjara International Film Festival welcomes the submission of Student Short "Project:Baby" from Austria, directed by Torsten Büsing. Synopsis: Individualistic Alexander and career focused Miriam split up. Suddenly the news of Miriams pregnancy. Alexander is up for a future together with her and the baby, Miriam is afflicted by doubts whether they´d be good parents or not. Can they become a couple again? 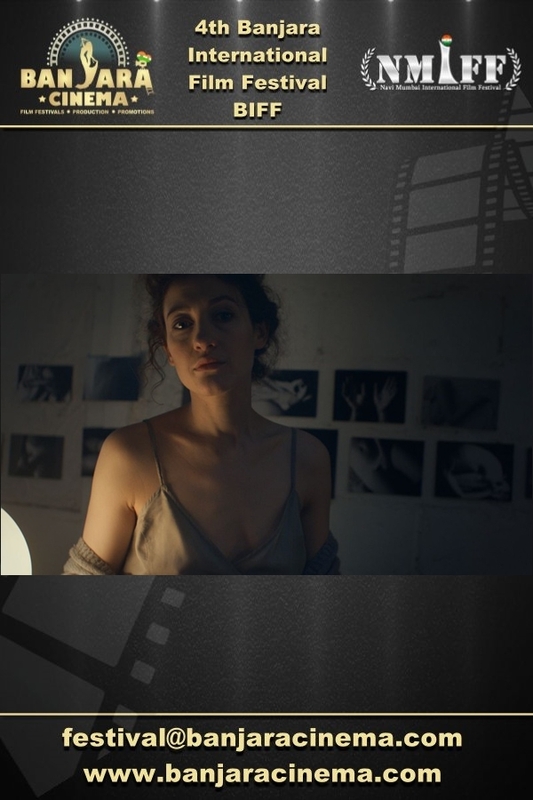 4th Banjara International Film Festival welcomes the submission of Student Short "Next" from Russian Federation, directed by Elena Brodach. Synopsis: Another night, another naked body in her bed. She feels no love, just passion. A sharp lancet in her hands and a hidden box with her secrets. Only she knows how it all will end and who will be her next victim. 4th Banjara International Film Festival welcomes the submission of Student Short "Rubrum" from Germany, directed by Irman Thiessen. Synopsis: Murders of drug dealers are piling up in the city. Thanks to exclusive information, the 34-year-old journalist Franziska is able to move quickly between the crime scenes. When she discovers the murder weapon at her place, she comes to realisation that she is the one responsible for the killings. Inspector Michael, whom she is in a serious relationship with, has already caught her in the very act. Now her thoughts revolve around the last remaining bullet. 4th Banjara International Film Festival welcomes the submission of Student Short "Sternenkind" from Germany, directed by Daniel Michalos. 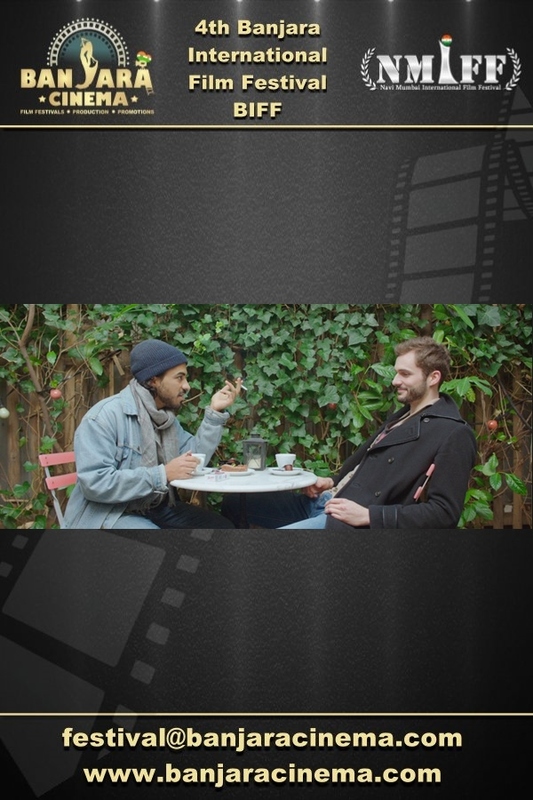 Synopsis: Sternenkind is a short film about a couple (Julia and Hannes) that is awaiting their first child. In the last third of the pregnancy a lethal illness is diagnosed to the child which means that it will die before birth. While Julia is waiting for the child to die (inside her), the differences between the couple emerge and destroy their relationship. 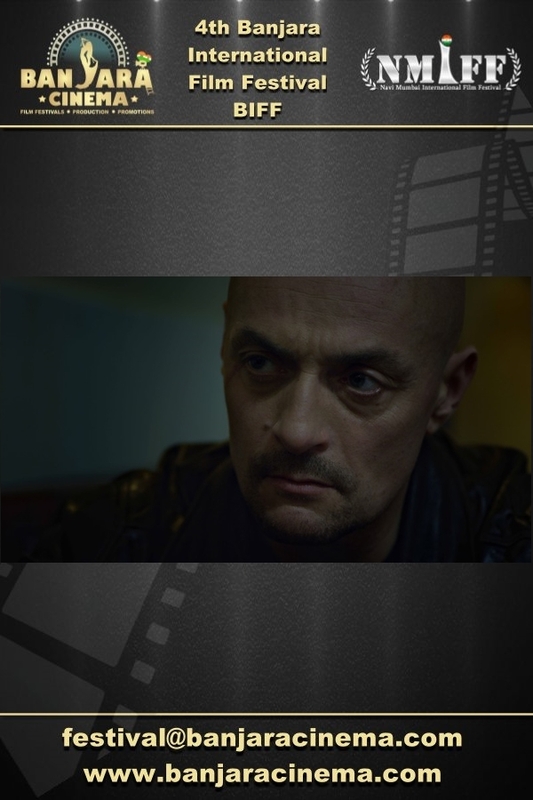 4th Banjara International Film Festival welcomes the submission of Student Short "No Service" from Germany, directed by Felix Reichert & Hannes Maar. Synopsis: On his way to a construction site a young German businessman gets lost in the African no man’s land. Without connection and orientation he has to find a way back to 'civilization'. Three days filled with absurd events and encounters in an alien world lay ahead of him.